His magic has been featured in New York Times, Wall Street Journal, Fortune, Forbes among many others. 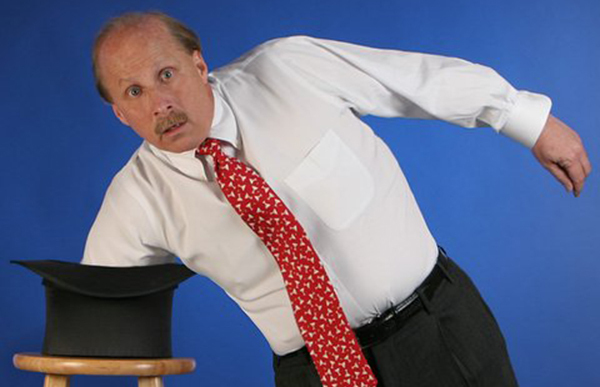 Can teach your executives tricks or illusions to communicate their message. Cannot retrieve tweets data, please check your twitter access info and try this again. The real magic you bring is how you can light up people’s hearts. You set a terrific stage for us all to follow. It’s no wonder at conference end, everyone felt terrific. Without a doubt, you are the most entertaining of entertainers I have had the pleasure of working with, and I look forward to many more magical times together. I didn’t realize just how powerful magic could be in communicating our strategies and plans. I am convinced that the impression with the sales force will be long lasting. Everyone left informed, entertained and truly motivated. Over the two days of presentations concerning various financial and insurance matters you provided just the right mixture of magic and humor to help our 250 attendees experience a truly memorable meeting. As the program chairman for this event, I can pay you no higher compliment than to say you really made me look good.